Mosquitoes love to breed inside discarded car tyres. 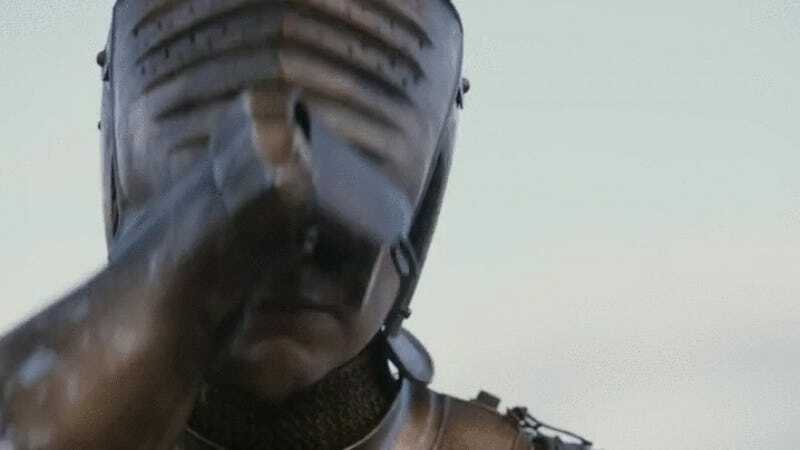 So why not use this against them? 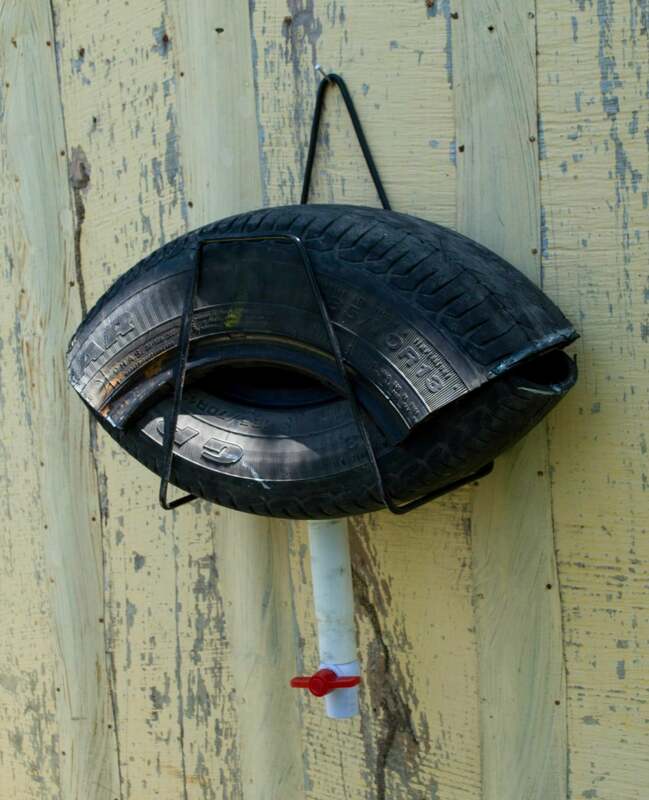 Such is the thinking of Canadian researchers who have developed a DIY mosquito trap that's already proving its worth in field tests. 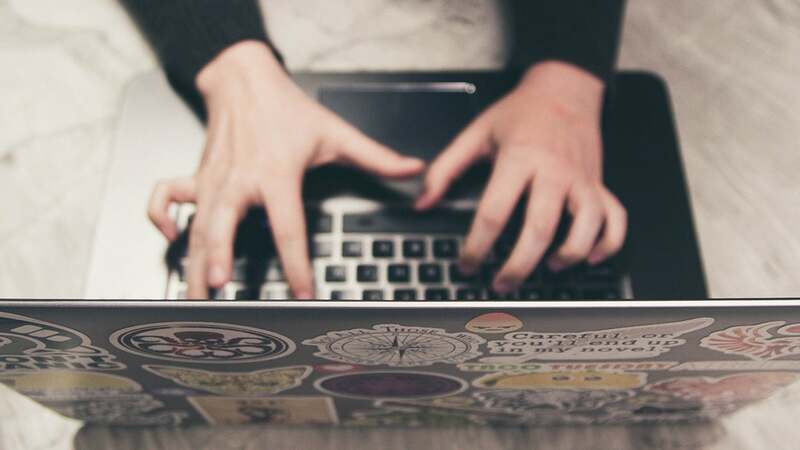 The trap is called Ovillanta, and it was developed by researchers from Laurentian University with help from Mexico's National Institute of Public Health (plus a little money from the Canadian government). 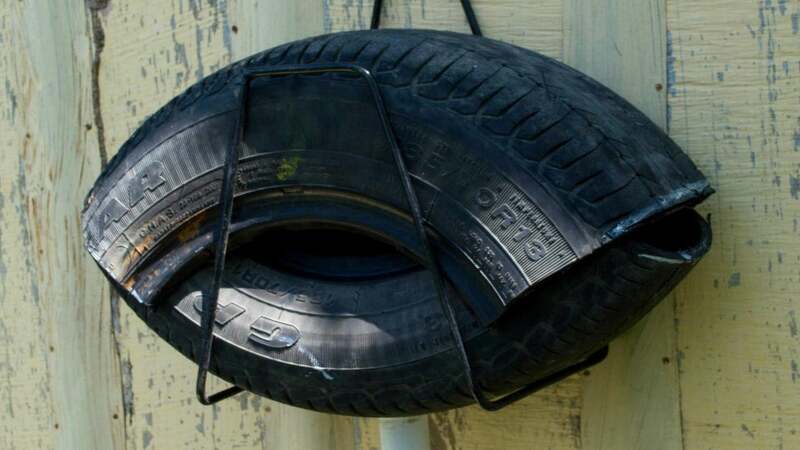 The egg trap is constructed from two 50cm sections of discarded rubber car tyres. The bits of tyre are fashioned into a mouth-like shape, and a fluid release is added to the bottom. Once it's ready and hung on a wall or tree, a non-toxic solution is added. A chemical pheromone is added to attract the mosquitoes. A wooden strip or paper floats in the artificial pond, where the female lays her eggs. Twice a week, the strip is removed so that it can be analysed, and the eggs that have been collected are destroyed using fire or ethanol. 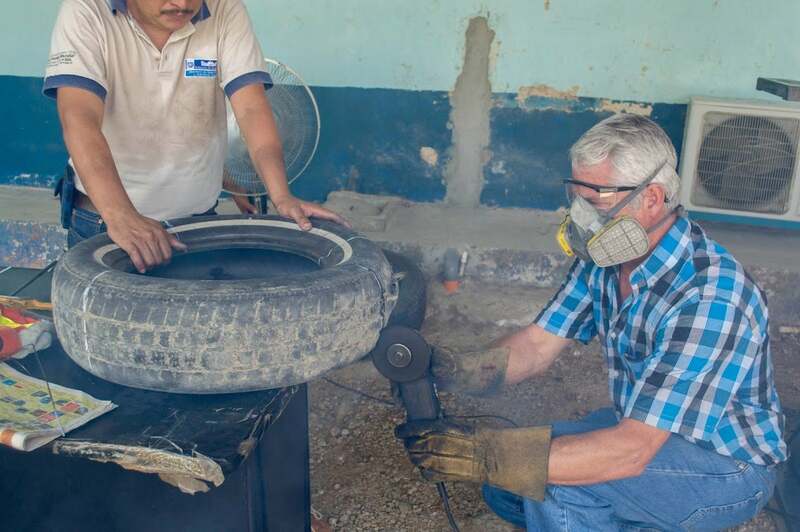 The solution is recycled back into the tire, but over time it collects even more mosquito pheromones, making it even more irresistible. From a mosquito's perspective, it's actually quite diabolical. The researchers recently conducted a 10 month trial of the system in Guatemala where it worked to reduce virus-carrying Aedes mosquitoes. These mosquitoes are responsible for spreading viruses like Zika, dengue, yellow fever, chikungunya and West Nile virus. Population control measures to reduce the number of mosquitoes are an important aspect of combating these blights. 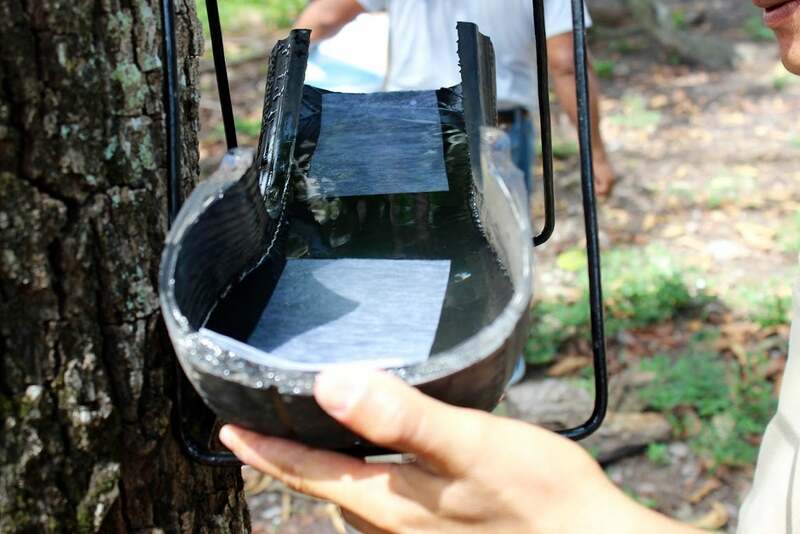 Over the course of the 10 months, the Ovillanta system worked better than traditional ovitraps, which are usually made from one-litre buckets. During the field trial, the team collected and destroyed over 18,100 Aedes eggs per month using 84 Ovillanta traps in seven neighbourhoods. That's seven times more efficient than traditional traps. At the same time, no new cases of dengue were reported in the regions where the traps were set up, but the researchers caution that this is merely an anecdotal observation. It's also important to point out that this study is still awaiting peer review. That said, this area of Guatemala typically records about 24 to 36 cases during the same months. Neat, right? Nice to see low-tech solutions perform so well. It's cheap, easy to make and environmentally friendly. On it's own, the system likely won't be able to completely curb the spread of mosquito-borne viruses, but when used with other population control strategies, it could contribute significantly to the cause.